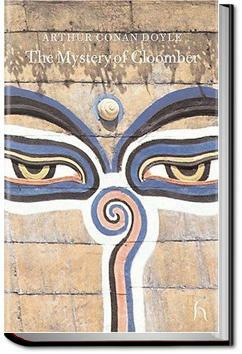 The book is narrated by John Fothergill West, who tries to discover why the tenant of Cloomber Hall, General Heatherstone, is nervous to the point of being paranoid. Why are his fears becoming stronger every year at the fifth of October? And why doesn't he let his children leave home? This is a great mystery novel with a sharp twist at the end. All You Can Books gives you UNLIMITED access to over 40,000 Audiobooks, eBooks, and Foreign Language courses. Download as many audiobooks, ebooks, language audio courses, and language e-workbooks as you want during the FREE trial and it's all yours to keep even if you cancel during the FREE trial. The service works on any major device including computers, smartphones, music players, e-readers, and tablets. You can try the service for FREE for 30 days then it's just USD $19.99 (approximately €14.37) per month after that. So for the price everyone else charges for just 1 book, we offer you UNLIMITED audio books, e-books and language courses to download and enjoy as you please. No restrictions. . . .I only know that he imagines some deadly danger to be hanging over his head, and that this danger was incurred by him during his stay in India. What its nature may be I have no more idea than you have." Suspenseful supernatural mystery that does not feature Sherlock Holmes. Centers around a mysterious reclusive family that moves into a remote village. Their tale reaches from the shores of Ireland to the mountains of Afghanistan. Very gothic, and very enjoyable.